November | 2012 | Get Glenn Mobile! I see that after my recent Indiegogo campaign ended, they only deposited about $400.00 to go with the earlier $250.00 or so from instant payments that were already received. Considering that it raised $1050.00, they’ve kept about 31% of the total…that’s ridiculous! So, ignore any Indiegogo buttons you may see, I’m deleting them as quickly as I can and have no plans to use them again. Other than a pretty presentation and a funds counter they’ve done nothing to earn that huge chunk of donations and can go whistle from now on. Anyway, just a quick status update now that I’ve seen what the situation is…more later, and as always I thank everyone for their continuing efforts to spring me from confinement and get me mobile again! Just a quick reminder: the current Indiegogo campaign’s expiring today. This does NOT mean anything’s changing with the overall fundraising project; even with no deadline the maximum time for a campaign to run is 120 days and today’s just when it expires. I’ll base my next action on how much return of the $1050 raised during this one actually comes my way after Indiegogo’s fees. About $150 has actually been received so far and the rest has been held in escrow until the conclusion of the campaign. 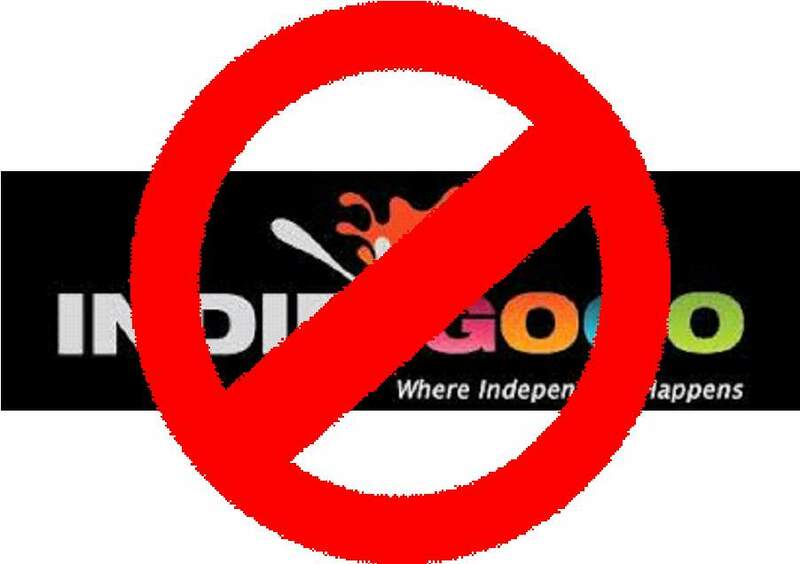 There are always hidden fees and creative interpretation of rules to allow Indiegogo to keep the maximum they can. Unlike the first campaign I foolishly used a deadline in and which refunded all pledges when the goal wasn’t met, this one will mark the first time I’ve ever received the proceeds. I do like the extra accountability and peace of mind provided by Indiegogo’s counter, but if their take is too high I’ll just go back to the straightforward PayPal donation button as this moves forward. I think the legitimacy of the fundraiser after its 15 months in existence has been affirmed enough so that contributors can be comfortable trusting my accounting (since this WordPress blog doesn’t support widgets like a counter) and know that I’m not about to abscond to Mexico! Perhaps I’ll look into another fundraising platform like ChipIn to continue as an alternative, but I wanted everyone to know that this project will never simply go away or that I’d ever give up on it. This is after all my life that’s being restored, not some ‘nice to have’ sort of endeavor, so be assured it’ll be around until it’s done! I was one happy camper lastSaturday. I spent the best ten hours or so I’ve experienced in ages, and I can’t say I’m surprised. As I wrote earlier I’ve been watching this project from its inception, through its planning and finally as it came into being, and there are few things I have such an affinity for as a gathering of hundreds of people who are lovers of liberty, from those with a straightforward interest to the entrepreneurs, academics and artists whose lives revolve around the pursuit of freedom. I started this entry a couple of days ago but only now find myself with enough energy to finish it. Yep, that’s the consequence of being deluged with the mountain of new data to process I encountered along with the physical exertion required to get through the event… but I don’t regret a moment of it! Now, I’ve only begun but you can expect to hear a bunch more about this as I find the resources. I took many photos and videos on Saturday and discovered the weak point in my plan; the camera in my new tablet doesn’t much like low-light situations like shooting a stage in a darkened auditorium and many shots just weren’t up to par. Doesn’t really matter since lots of people with suitable equipment were shooting along with me at every turn and anything I might need to reference has probably been covered by someone else. For now, here’s just a taste of the amazing talent presented for our delectation at the Music City Liberty Fest…there will be lots more to come and much to talk about!